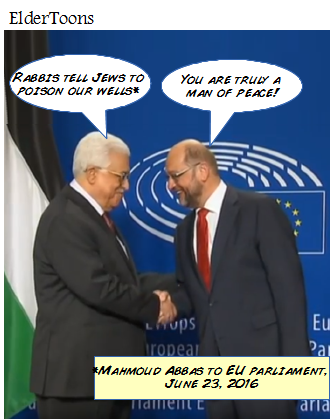 Today, Mahmoud Abbas accused rabbis in Israel of encouraging their flock to poison Palestinian water supplies. And the EU members applauded. 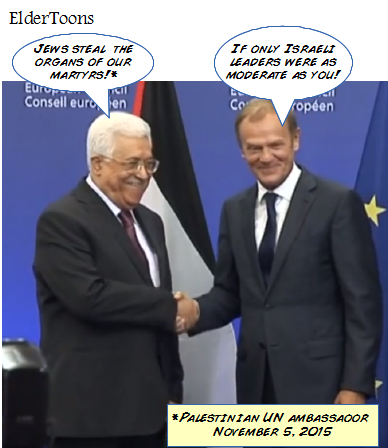 It is not exactly the first time that Abbas and the PA have made wild antisemitic accusations. 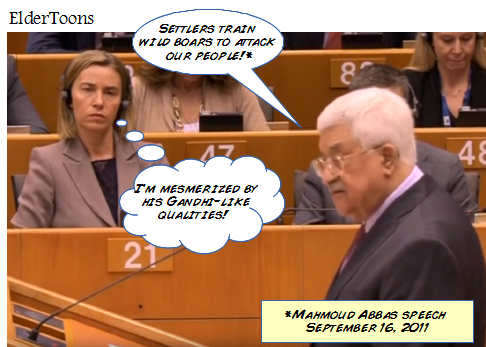 Yet the ardor that the West shows for Abbas continues unabated. Here are only three examples, in cartoon form, showing that Abbas can literally say anything and be respected as a man of peace.